Dollar Tree has updated their coupon policy, again. The biggest change is that they are only accepting up to four (4) like coupons per household per day. I know this change will disappoint some of you, but this is actually more “like” coupons than other local stores accept. – Limit of 2 printable coupons per transaction. This isn’t “like” coupons. This is all printable coupons. – Coupons cannot be redeemed for more than the purchase price of the item. Basically, Dollar Tree won’t give overage. – No competitors coupons accepted. 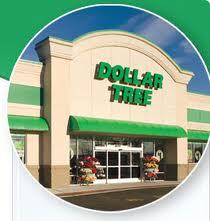 Hello,will you be doing the matchups for the dollar tree?